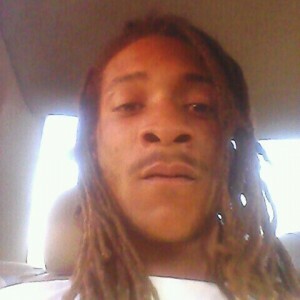 Superseding indictment charges new man in 2014 Trenton murder | Homicide Watch Trenton | Mark every death. Remember every victim. Follow every case. 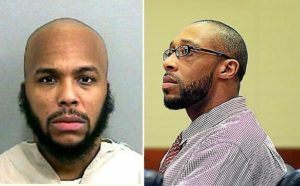 Brown, 34, of Trenton, used a third-party shooter defense that implicated Vereen in the murder, but the state seemingly rejected that argument until this month, when the Mercer County Prosecutor’s Office presented its case to a grand jury that resulted in the explosive superseding indictment charging both men with first-degree accomplice liability murder. The new indictment accuses Brown and Vereen of shooting and killing Smalley on July 12, 2014. Each co-defendant operated “by his own conduct or as an accomplice of another,” according to the allegations in the charging documents. Following the 1:20 a.m. shooting, Trenton Police were dispatched to the corner of Poplar Street and North Clinton Avenue and found Smalley lying on the sidewalk in front of La Guira Bar suffering from multiple gunshot wounds, including one to the head. Smalley was rushed to Capital Health Regional Medical Center, where he was pronounced dead. Brown and Vereen were friends, and surveillance footage captures both co-defendants at the murder scene when Smalley got gunned down. About a month after the homicide, authorities found Brown and Vereen hanging out in Newark. Brown was arrested on murder charges, but Vereen back then was not charged in the case. The Trentonian previously reported that Brown and Vereen were persons of interest in a 2014 Newark carjacking case. As the murder case played out, Brown sat in the Mercer County Correction Center on $1 million cash bail from Aug. 18, 2014, till this week, when a Superior Court judge ordered Brown to be released on electronic monitoring, prosecutors confirmed. Meanwhile, Vereen is incarcerated in state prison for being in unlawful possession of a handgun in Newark on Aug. 17, 2014, and for committing an assault by auto in Trenton on June 11, 2016, according to public records. He pleaded guilty in both of those cases and is scheduled to be released from state prison on Sept. 15, 2020. If convicted of first-degree accomplice liability murder, Brown and Vereen would face 30 years to life in prison. Brown, who has prior convictions for aggravated assault and aggravated arson, continues to maintain his presumption of innocence in the murder case. Three trial juries over the last three years each could not reach a unanimous consensus on whether Brown was guilty or not guilty of murder and weapons offenses. Brown’s defense attorney filed a motion last month seeking to get the original indictment dismissed, but the Mercer County Prosecutor’s Office outmaneuvered him by pursuing the superseding indictment that keeps the case against Brown alive and well while finally targeting Vereen for his alleged role in the slaying of Smalley. Heyburn said his client was released Monday evening from the Mercer County Correction Center. Brown has an electronic monitor on his ankle but is free to travel within a 100-mile radius of Trenton without any curfew limitations, according to Heyburn, who said his client is expected to appear at any future mandatory court proceedings. Free on pretrial release after being jailed for 52 months, Brown is staying with his ex-girlfriend and his child in Trenton, according to Heyburn, who said Trenton Police confronted Brown during his Monday evening homecoming. Heyburn said he intends to file a complaint with the Trenton Police Internal Affairs Unit over the alleged harassment.